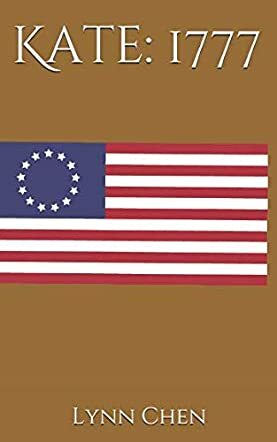 Kate: 1777 by 11-year-old author Lynn Chen is a unique and well written fictitious journal about a young girl recording her experiences during the Revolutionary War. Kate Lorenson is the main character. She is the ten-year-old narrator and journalist who records her first hand experience living with a colonial family in Maryland. The first entry in her journal is August 15, 1777. Through her first entries in the journal, we find out her father and older brother are off fighting the British. Kate is home with her 14-year-old brother Ethan and her younger sister, Emma, age 4. Her mother is head of the household and the family grows fresh vegetables on the property. In Kate:1777, Lynn Chen writes each chapter to record what Kate observes going on around her, including news of important battles and political happenings such as the Battle of Saratoga, and the Stamp Act. A bit of drama is also brought to Kate’s family when a young 20-year-old stranger comes to the Lorenson house unexpectedly. The stranger’s name is James, who does not talk much, and we find out later he has a secret past. The journal covers the period August 1777 through December 1777. This book is a short read and the font used is printed in script to add to the overall experience for the young reader looking at a "journal". Still, the book reads well and the target audience Chen is aiming for should be right for her age range. All in all, an interesting and enjoyable story that should entertain the young reader and educate at the same time.